To celebrate the holidays the past couple of years my friends and I have gotten together for a cookie party. I usually like to try new recipes along with old favorites and also make enough for my family too. 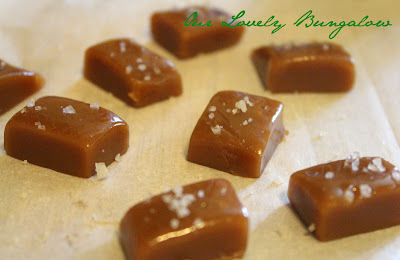 This year the new additions are Fleur de Sel caramels (not really a cookie but still a sweet!) and Turtle cookies. The caramels I had made before as wedding favors and the Turtle cookies just looked delicious so I had to give them a try! 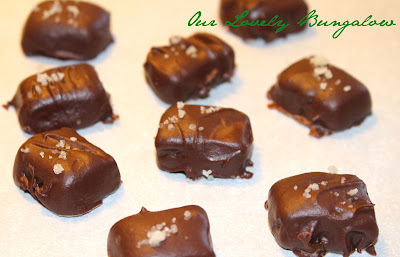 I made the caramels first using a recipe on Epicurious as the Turtle cookies called for caramels. 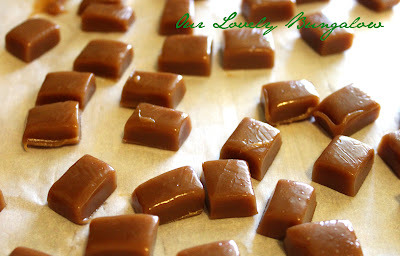 The tricky part of the caramel making is to wait until the sugar browns before adding the cream mixture. In one of my previous attempts I added the cream too early and the resulting caramels were a light tan color rather than a deep caramel color. This time I had success, and after cooling, cut them into bite size pieces. 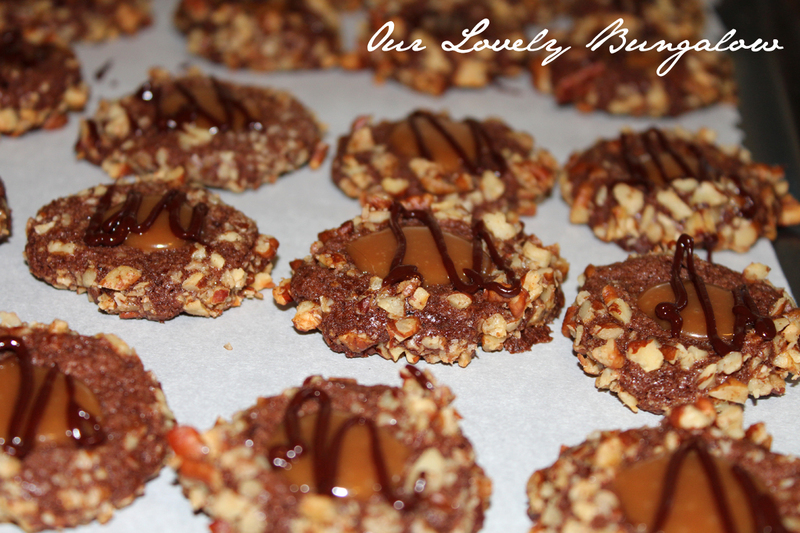 For the Turtle cookies I followed the recipe on The Kitchen is my Playground blog. These cookies may be my new favorite, they are DELICIOUS!!!! I had to hide them away or they might not have made it until Christmas. I can't wait to share them with friends and family! I also made sugar cookies and plan to make some pecan ball cookies with recipes found here on a previous post. I love Christmas time with all the goodies!!! Thanks Andrea! Those cookies were yummy! It was a fun cookie party, can't wait until the next one!! !